Readers will find two very different sets of wines in the 2012 and 2013 Barbarescos. The 2012s are open-knit, supple and ready to drink, while the 2013s - from one of the latest years in recent memory - embody all the qualities that make Nebbiolo one of the world's most noble grapes; soaring aromatics, pulsating energy, structure, and, most importantly, the rare ability to transmit the essence of site. The 2012s are attractive wines from a vintage that appears to be best suited to near-term drinking. Many wines show the elevated ripeness from a period of intensely hot weather in early August, but at the same time the 2012s are decidedly medium in body, without the opulence found in the 2011s, another vintage marked by warm temperatures. One of the shortcomings of 2012 is that vineyard signatures are not fully developed, which results in an element of sameness across many wines. Overall, 2012 is an average vintage with a few overachievers and large number of wines that will offer their best drinking sooner rather than later. The growing season got off to a difficult start. The winter was brutally cold. In Burgundy, the cold killed quite a few plants in lower lying areas. Mother Nature was kinder to Piedmont. Flowering was late and took place under cold, damp conditions, which caused a loss of around 10-20% of the potential crop. Periods of warmth alternated with cooler spells in an up and down season with little regularity. A blast of heat in early August was so severe it caused dehydration. The rest of the summer was overcast, with moderate temperatures and very little sun. Hail was an issue in a few spots, including Asili and Pajè. Nevertheless, sugar readings were on the high side heading into harvest. A final spell of rain just before harvest was the final wrinkle growers had to deal with in what turned out to be a difficult year. 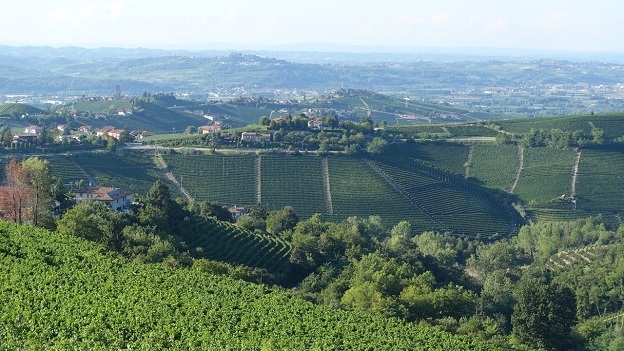 It’s always a challenge to make generalizations about Piedmont, as there are so many subtleties with each twist and turn of these snaking, hillside vineyards. Still, the data I was able to compare from weather stations in Monforte and Barbaresco showed that Barbaresco had higher average temperatures, higher peaks, along with 25% more rain and 19% more growing degree days. Of course, one has to keep in mind that parts of the town of Barbaresco is next to the Tanaro river and its warming influence and that Barbaresco sits lower than Monforte, so warmer temperatures alone may not be that significant. But the differences in rainfall and growing degree days are too significant to ignore. Interestingly, sugar levels and polyphenols track recent historical averages, but anthocyanins, which are developed through diurnal shifts towards the end of the growing season, are quite a bit lower than those that one might see in a more classic year, such as 2013. This may explain why the 2012s are both ripe, deep and juicy, but also lacking in color. Wine rarely comes down to numbers alone, but some of the keys to unlocking the essence of the 2012 vintage might lie in understanding those figures. Two thousand thirteen, on the other hand, is shaping up to be an epic vintage of classic proportions and superb pedigree. The growing season was much more stable than 2012, but it is the last month of the year, a perfect September with warm days and cool nights, that yielded Barbarescos endowed with regal intensity. The 2013s remind me of the 2010s, but with more inner sweetness and mid-palate richness. 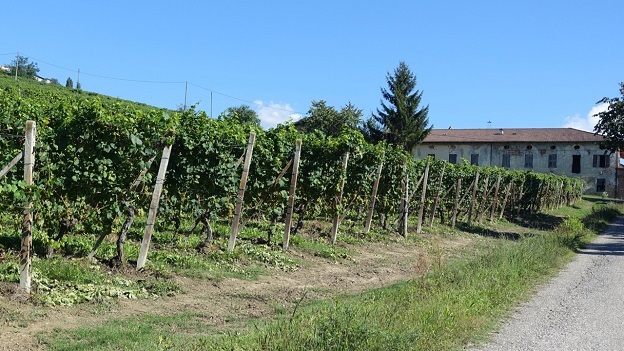 Vinous readers will recall that 2010 was an uneven vintage in Barbaresco. From what I have seen so far, 2013 does not have the austerity nor the inconsistency of 2010. The late October harvest was one of the latest on record. Some of the region’s younger producers told me they had never seen such a late-maturing vintage! For the last several decades, Barbaresco has been defined by three producers who have towered above all others; Bruno Giacosa, Angelo Gaja and the Produttori del Barbaresco. Giacosa seems to be gradually coming back to form after the disappointing 2008s and 2009s, which is a very good sign. Gaja is in the middle of a generational transition, a delicate period for any estate that always takes at least a few years. The Produttori are as consistent and reliable as ever, but the lack of association with a single producer is in many ways a hindrance. It doesn’t take much time in Piedmont to realize how much more visibility Barolo has compared to Barbaresco. 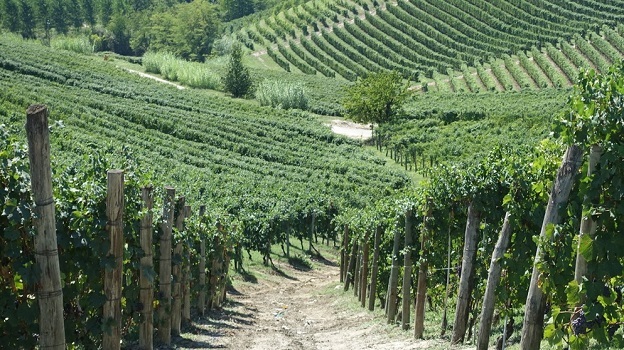 Much of that can be attributed to Barolo's long-standing presence in export markets. The vast majority of Barolo is sold outside Italy, so the client base is international by nature. The exact opposite is true of Barbaresco, which, up until recently, was mostly sold in Italy. As a result, Barbaresco is a very insular place. What Barbaresco needs today is someone who can show the world just how compelling these wines are, but it will take a person with the kind of outward vision Angelo Gaja had in the late 1960s, naturally adapted to today’s sensibilities. The road is wide open for one or more producers to take that leadership position. Bruno Giacosa is without any doubt Barbaresco’s first modernist producer. In 1964, Giacosa made the first vineyard designate Barbaresco, his 1964 Santo Stefano Riserva, a wine that remains exhilaratingly beautiful to this day. A close look at the label reveals the vineyard name as ‘Cru Santo Stefano di Neive d’Alba.’ Single-vineyard wines have become all the rage in the last fifty years, but they are not part of the Piedmontese tradition. Rather, these wines reflect an infatuation with French culture (which can also be seen in the use of the word ‘cru’) that was sweeping through Piedmont in the early 1960s. Giacosa’s desire to bottle his own wines showed he was not afraid to challenge his father, a grape broker by trade, who was not at all pleased with the potential for conflicts of interest if and when the young Giacosa decided to keep the best fruit for himself. Giacosa dealt with that concern by offering to pay double the going rate for his fruit. 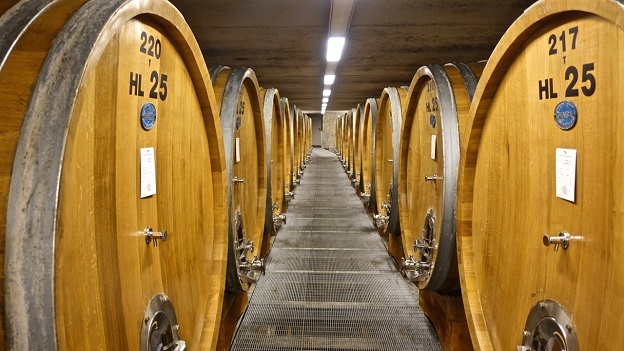 Bruno Giacosa was also among the first producers to use French oak, install temperature-controlled stainless steel fermenters and send his wines to an outside lab for analysis. Although often thought of as a traditionalist, in his day Bruno Giacosa was among the most innovative and daring producers in Piedmont. Angelo Gaja started working in his family’s winery in the late 1960s and joined full-time in the early 1970s. While Giacosa is a man of few words who has rarely travelled outside Piedmont, Gaja is the exact opposite. Speaking and moving at the speed of light, Gaja lives at a pace that is nearly impossible to keep up with, even today. Gaja is the great evangelist of Barbaresco. He took the magic of these hills and exported it around the world. Back home, Gaja adopted a host of modern vinification techniques and molded his wines to more American/international sensibilities in an effort to show his wines could compete with the world’s benchmarks for excellence. But in a battle between Gaja and Nebbiolo, Nebbiolo always wins, as evidenced by how well even Gaja’s most internationally-styled wines have aged and maintained their vineyard signatures. Daughters Gaia and Rossana have pulled things back and are going for a bit more restraint, goals they are pursuing with the work ethic and total drive for perfection they inherited from their parents. The next chapter at Gaja is going to be fascinating to follow. Just up the road, Aldo Vacca has deftly brought the Produttori del Barbaresco into modern times while making subtle changes to farming and winemaking yet maintaining the traditional style that has made this coop so adored by its rabidly loyal fan base. The changes at Produttori have been gradual to the degree they aren’t always so noticeable, but they are there. No one knows every nook and cranny of Barbaresco better than Aldo Vacca, but Vacca has also proven to be incredibly wise in making choices that have positioned the Produttori for much continued success in the future. All of which brings us to the present and future. Many of today’s most exciting Barbarescos are being made by the new generation of young producers. Andrea Sottimano has taken what he has seen in Burgundy and applied it to his Barbarescos with increasing success over the last decade. Francesco Rocca is younger and less experienced, but his father, Bruno Rocca, owns a number of top-flight vineyards including what is widely regarded as the very best part of Rabajà. Based on the quality of vineyard holdings alone, Rocca should be a top five producer in Barbaresco every year. Silvia Rivella and her father Guido, who are just now releasing their first wines, are sure to make a splash. Just across the valley, Marco Rocca’s La Ca’ Nova is probably the Barbaresco estate with the most potential. At their best, the wines are fabulous. In Treiso, Giorgio Pelissero makes racy, luscious Barbarescos full of personality. That is just the tip of the iceberg. Albino Rocca, Fiorenzo Nada and Piero Busso are some of the other estates where generational transition is under way. It is pretty clear that Barbaresco’s future is in the hands of today’s emerging young growers and winemakers. But Barbaresco’s producers need to get out more and eradicate a culture of insularity that has been the region’s Achilles heel for so long. Given what I have seen so far, I am optimistic that can happen.